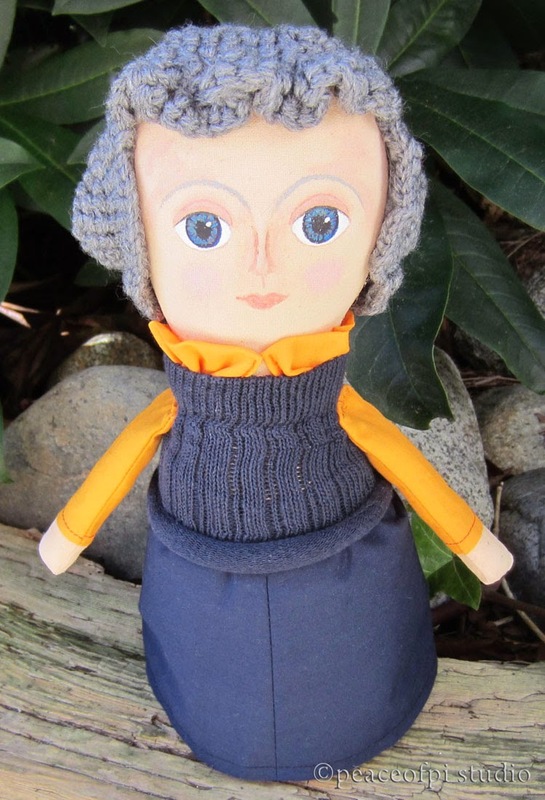 With a kind face, this fabric art doll embodies the beauty of aging. As a soft sculpture, the doll has hair of yarn created in crochet, a fabric body, a painted face and clothing stitched just for her. The doll's kind nature shows in her face and open arms. She is a woman who is proud for the wisdom and perspective the label old brings. With her skirt and sweater in navy blue and a pop of color from her orange blouse, this grey haired beauty shines.